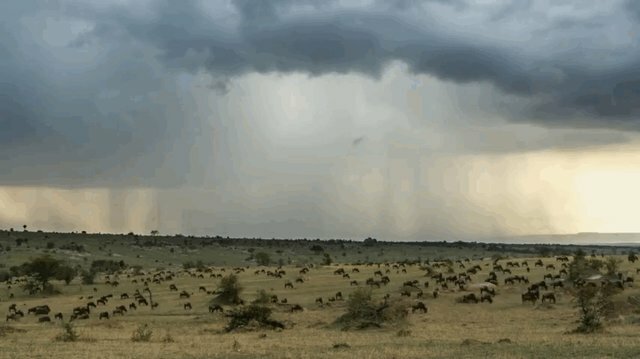 Every year, a swarm of 1.5 million wildebeest begin their journey through the Serengeti, forming the world's largest land mammal migration. Accompanied by some 300,000 zebra, they take the 1,800-mile trek over several months in search of new grazing grounds. 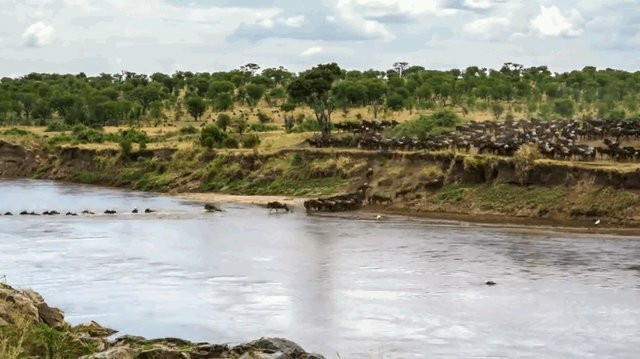 Filmmaker Will Burrard-Lucas captured some stunning footage of the migration, and created a mind-blowing timelapse of the entire ordeal. First, the animals mosey across the plains. When they approach a river, a bottleneck usually occurs. 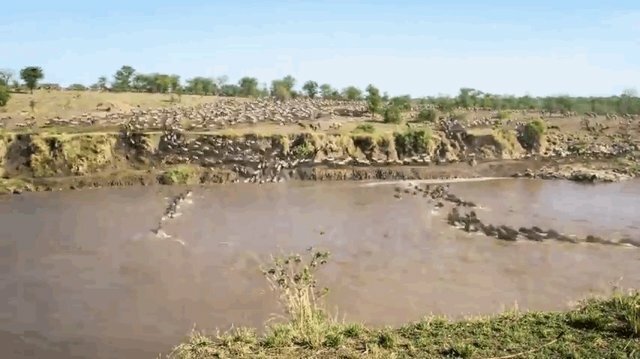 Many wildebeest gather at the river's edge and abruptly surge into the water. River crossings are prime locations for predators like crocodiles, lions and hyenas to pounce. Wildebeest stay in close herds to form their best defense against these predators. You can follow Burrard on Facebook, Twitter and Instagram for more amazing wildlife images.